If you have enjoyed the past few days’ posts of my trip to Israel, you might enjoy my two devotional books that relate to the land of Israel. Below is a taste of each one, plus links to previews. Just click on the book to order. Now available in a Kindle Edition and even in Korean! Imagine following Jesus along the road, listening in on His conversations, and gleaning the lessons He taught in the holy places He traveled. This book takes such a journey. 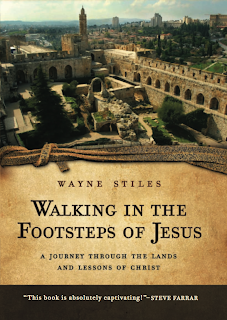 Written in an easy, devotional style, Walking in the Footsteps of Jesus mingles an engaging and enjoyable travelogue with the practical lessons gleaned from walking the Holy Land. Click here to look inside the book! This book finds its roots in places God chose—literally. The lands of the Bible offer more than a backdrop for the stories of the Bible. These places played an integral role in shaping the lives of those who lived there. God designed it so. 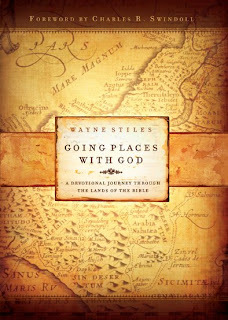 And for us, understanding how the land shaped its inhabitants gives us tremendous insight into understanding Scripture. Even more, it provides us with a glimpse as to why God has placed us where we live today. Ninety devotional readings, each based on a specific place in the lands of the Bible, invite you to embark on your own spiritual journey. Available in a Kindle Edition. The book has even been translated into Korean. What Do You Think of When You Hear a Rooster?